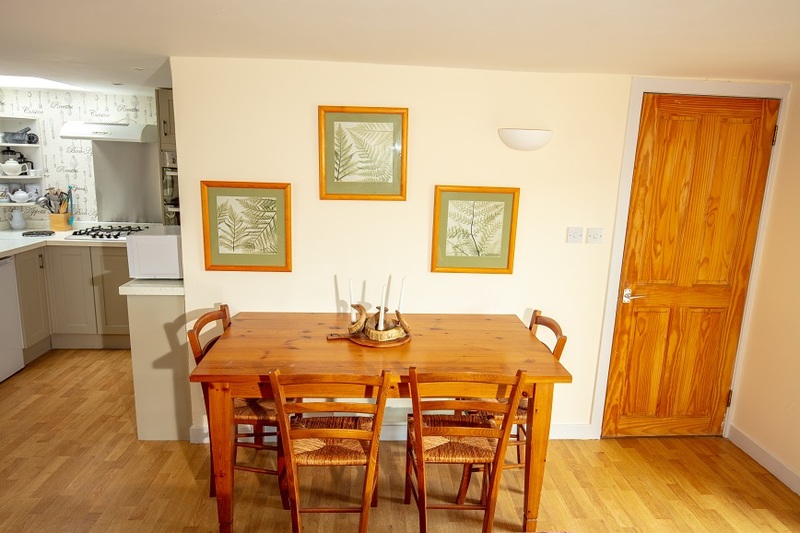 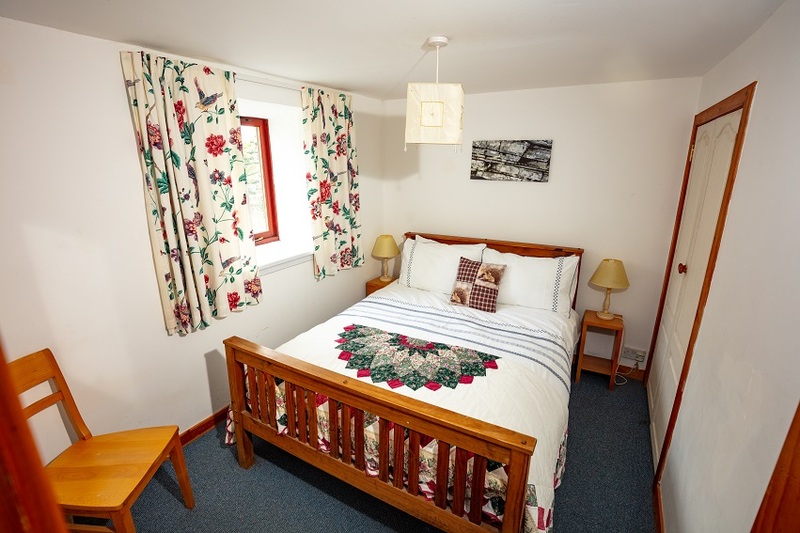 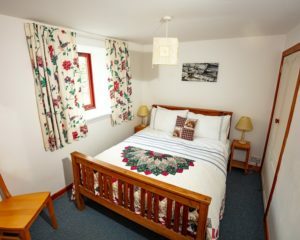 This is the largest of our cottages, with two double bedrooms downstairs and two loft rooms with two beds each. 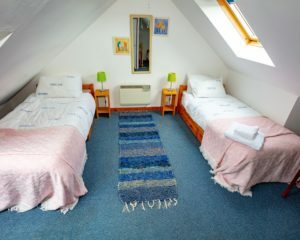 It has been set out in such a way that it is a nice cosy dwelling for 2 – 4 people as well as being good for larger groups and families. 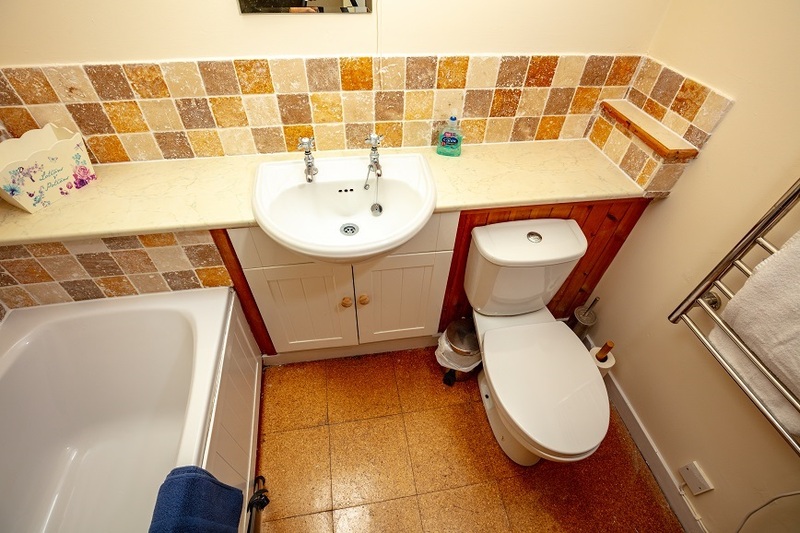 You enter through the large utility room, which has a tiled floor, ideal for wellies and wet dogs. 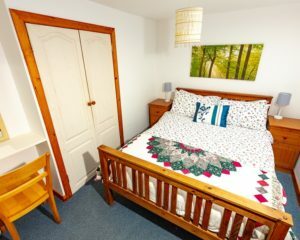 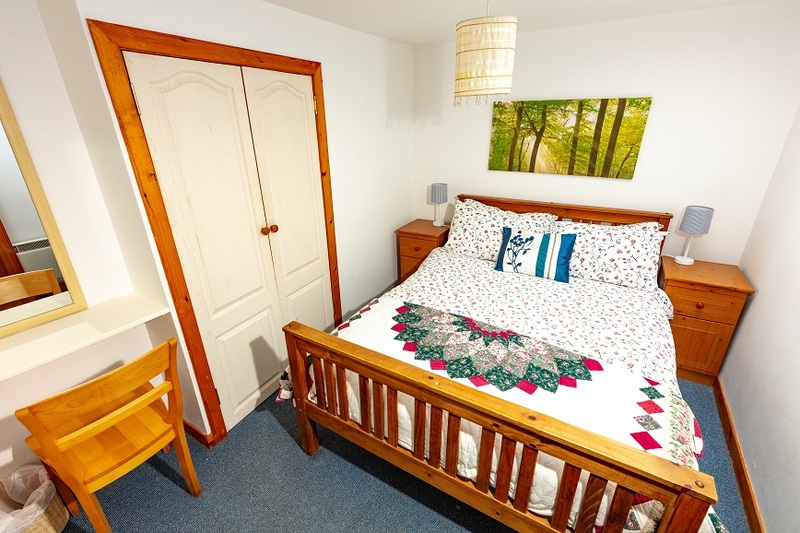 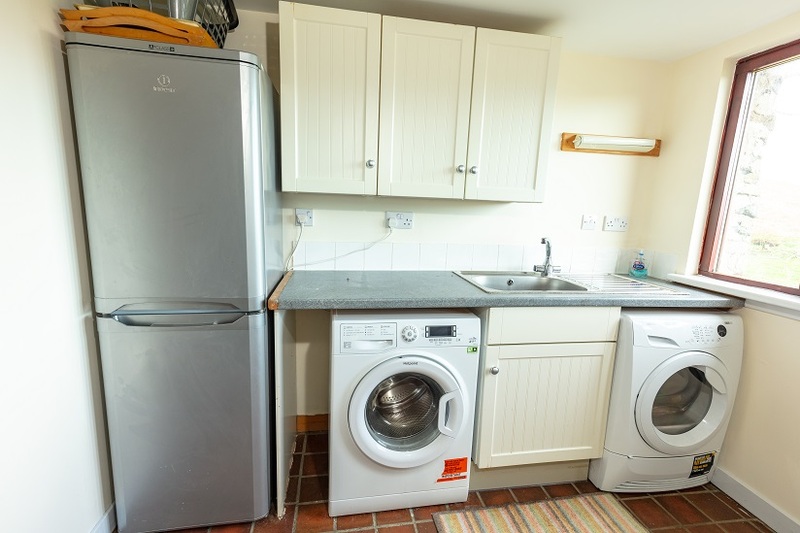 The room is equipped with lots of hooks for coats, a washing machine, tumble drier, large sink and worktop, fridge/freezer and a drying rack for clothes. 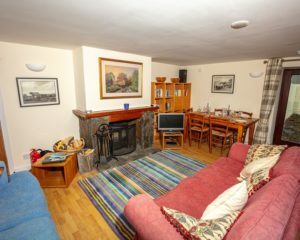 The living room has two comfortable sofas, set around a traditional stone fireplace, incorporating a wood-burner, with TV incorporating a DVD player on the mantle. 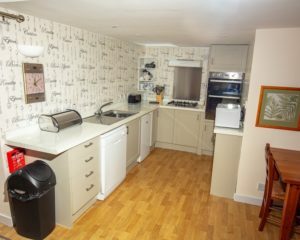 The kitchen is open plan with a hob and double electric oven, fridge, microwave and dishwasher, to one side is the dining. 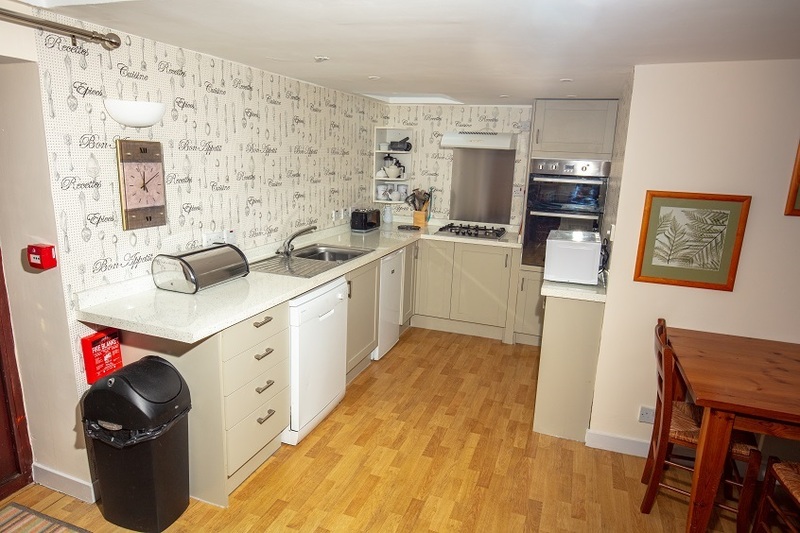 The kitchen is well equipped with a good selection of pots, pans, oven dishes, utensils, scales, baking tins etc. 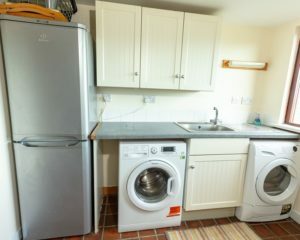 Tea towels and oven gloves are provided. 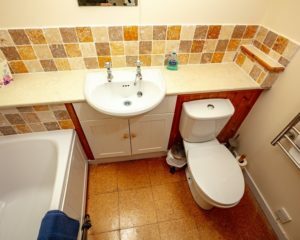 Downstairs there are two double bedrooms, a bathroom and a shower room, both with a toilet and heated towel rail and sink. 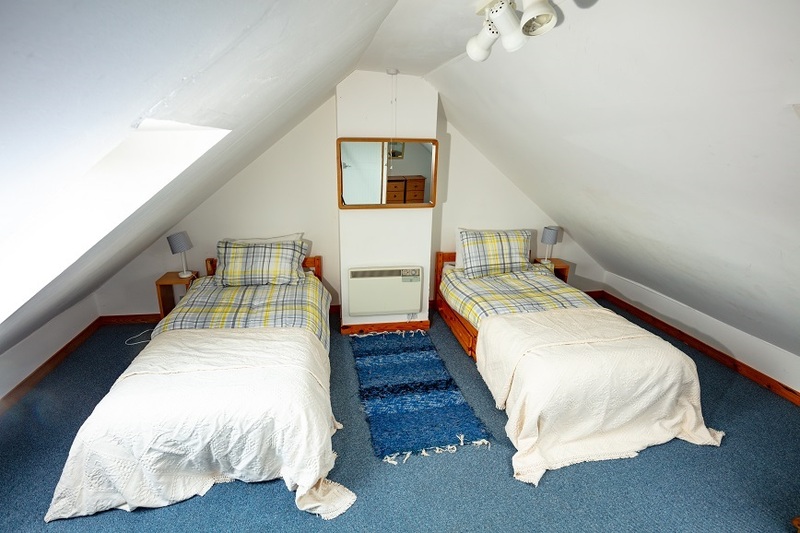 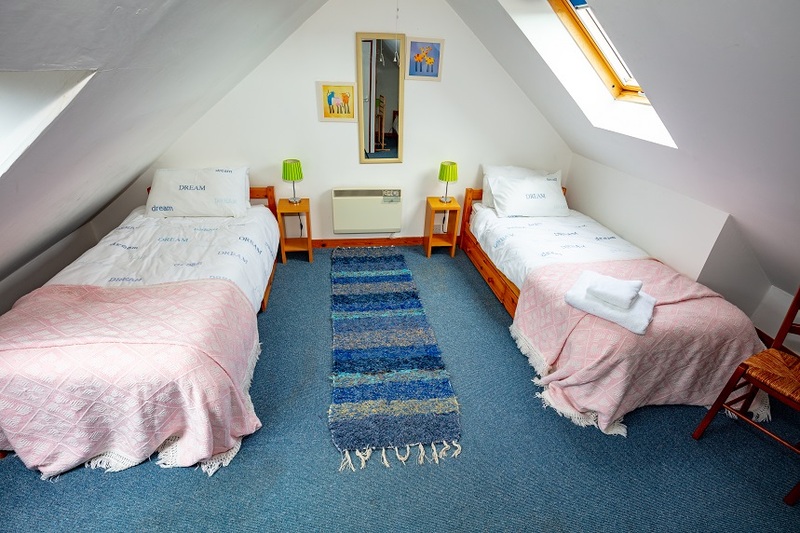 Upstairs there are two large attic rooms each with two single beds. 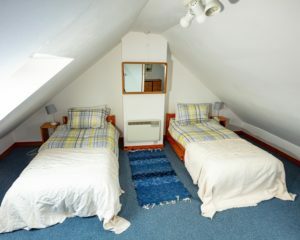 Each holiday cottage has a travel cot and high chair. 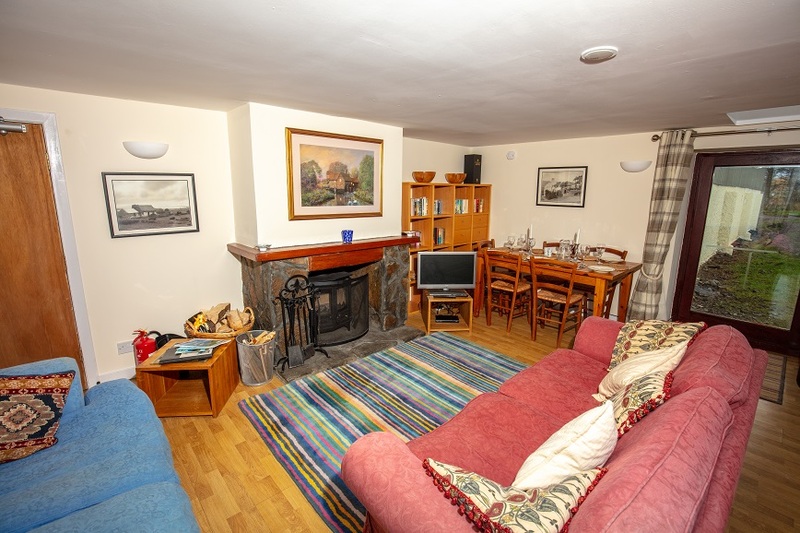 Tigh Beag is a non-smoking cottage. 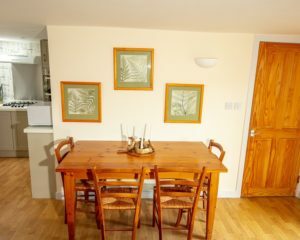 If your desired holiday dates are not available for this cottage, please check the availability of our other cottages: The Bothy and Tigh Mhor.